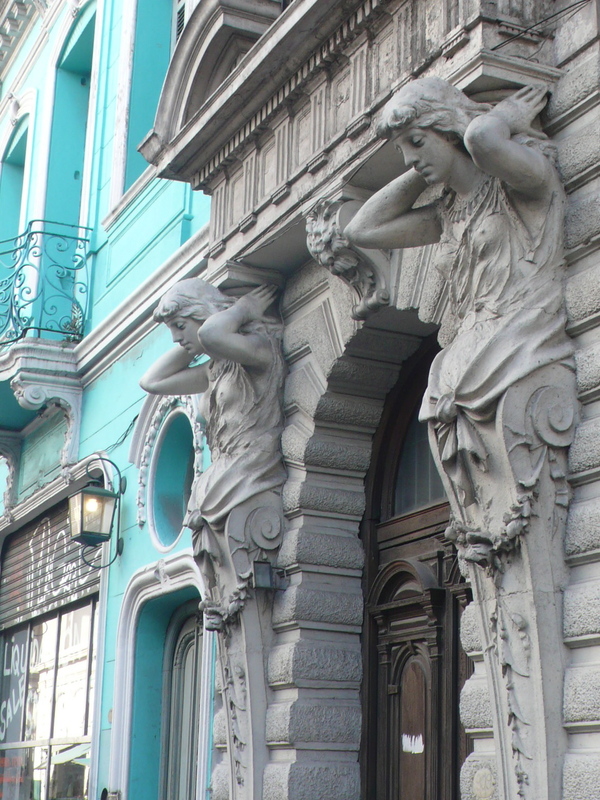 A walking tour of decorative details; Buenos Aires, Argentina. 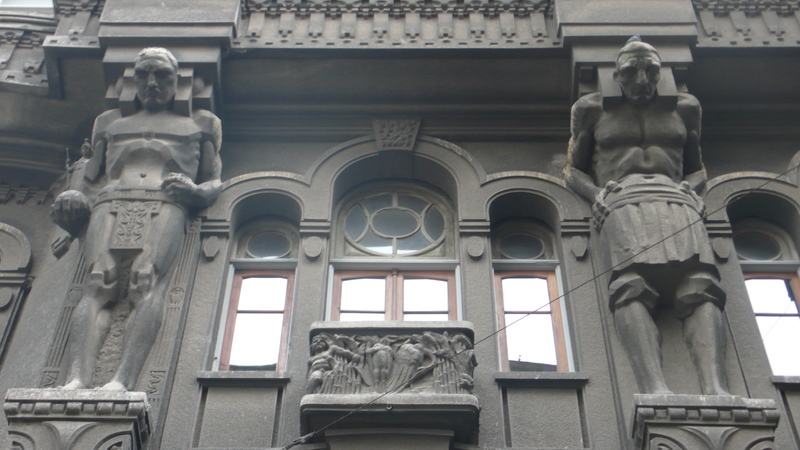 I still love these mad Egyptian slaves and the mad Gotham-city art deco massive sculptures so much. This was first written and posted over a year ago, soon after my return from Buenos Aires, so now its buried deep in archives. Coming across it now, it occurred perhaps more recent readers and followers might savour a glance too. Enjoy! Here’s a little walking tour I did in my second week, less the directions I am afraid, (I was too busy taking pictures, avoiding traffic and gawping at buildings to jot down the street names) But I think you’ll be able to follow a similar route. I started in my own area of San Telmo, and continued for two or three hours, stopping to look at interesting buildings, and more or less winding through San Telmo and gradually into the large central district of Micro-Centre. Along the way are some lovely buildings, spanning every period from the 17th to the 21st century. The 19th to early 20th century ones are of course often decorated with every type and style of decorative detail, ranging from the sublime to the bizarre. Here are a few for you to enjoy. madly jealous. but do you step in dog poo often? Ah, ah ha, because i am looking up all the time you mean. (Bit slow today) No I am madly cautious about that. Funny you mention dogs though. The swisher sort of Argentines and the richer Portenos (Buenos Aires folk) are nearly all really, (really) into dogs. You see pets and owners, and even professional dog walkers, everywhere in the richer areas. Like the upscale New Yorkers that way. Perhaps a means of fashion statement I guess, something you can style and spoil and agonize and bang on about. They have pet psychologists and all that nonsense there too. Displacement, I call it.